Come see this wonderful executive property on the Legacy golf course and with all the amenities! Note the professionally landscaped full acre lot, and two level parking. Enter the two metal castle gate doors into the open foyer with high ceilings, with the custom dining room to the left, and soaring great room ahead. 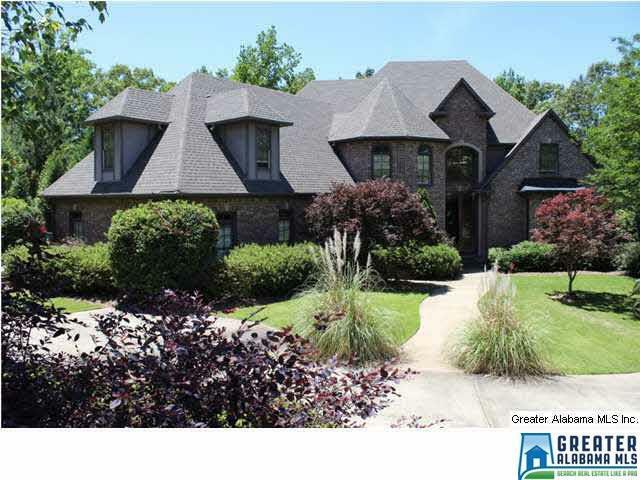 The Master BR is 31' x 19' with fireplace and twin tray ceilings, and terrific master bath, including his & hers custom walk in closets, and walk in shower with 3 heads (see pics). The kitchen features granite counters, big island, Sub-Zero frig, and gas cook top, with easy access to big keeping room & breakfast room. Main level also has in-law suite with bedroom and attached bathroom, big laundry room, and parking. Upstairs features 4 bedrooms, 2 baths and a big bonus room. The finished basement has a den, media room with projection tv, 7th bedroom, bathroom, and huge rec room with wet bar. Inground custom pool, too much to mention. Right of redemption may apply.